Graduated from the University of Évora in 2002. After graduation spent one year doing a professional internship in Clinical and Small Animal Surgery at the Algarve Veterinary Hospital in Faro. 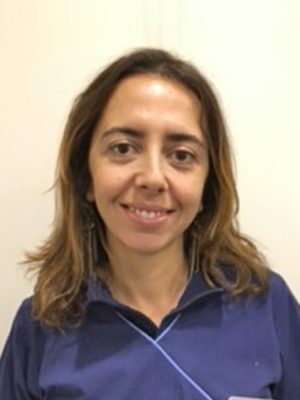 She has worked at the Algarve Veterinary Hospital and the São Brás Veterinary Clinic until September 2006. Works in Canham’s Veterinary Clinic, Almancil since 2006. Surgery, Imaging and Ophthalmology are her main areas of interest, regularly attending courses (national and European) to improve her skills.